Dentistry 390 has a number of solutions to any problems you might have with decay or cavities. Chipped or worn teeth can be restored to look like new. Cavities cause holes to form on the surface of your teeth. A filling is placed after the decay is removed and the tooth is restored to its original shape. At Dentistry 390 we use minimally invasive techniques to keep your filling as small as possible. When the structure of your tooth is damaged you might need more than just a filling. An onlay is similar to a filling but covers much more of the tooth. When a tooth is damaged to the point where fillings won’t be strong enough you need a crown. A crowns caps over your tooth or a combination of tooth and filling to restore its strength. If a tooth has had root canal treatment, it needs a crown to protect its weakened tooth structure, especially if it’s a back molar tooth. Crowns can not only restore strength so you can safely chew on your tooth, they form an ideal shape and colour that looks just like a natural, beautiful tooth. When a tooth is too damaged to be saved and removing the tooth becomes necessary, a dental bridge may be used to secure a replacement tooth. A bridge is formed when a new artificial tooth is attached to the adjacent teeth to fill the space made by the missing tooth. Alternatively an implant can be placed to replace the missing tooth. 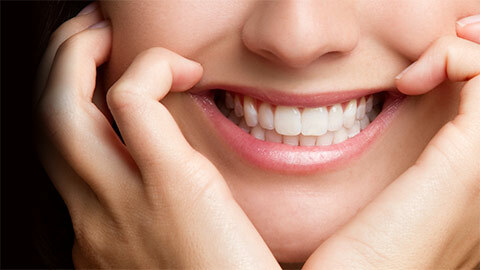 For more information, please see the section on Dental Implants and Missing Teeth. If you need more information about Dental Restorations in London, contact us today.